Less images of visual phenomena than of perception itself, Catarsiby Massimo Leardini presents a world beyond the depicted. Dreamlike images and harmonious structures of glowing greys are firmly rooted in an underexposed narrative extracted from the realms of the photographer's seaside hometown of Cattolica in Italy. A personal horizon of infinite Adriatic sea and sunlight play a cameo role here. 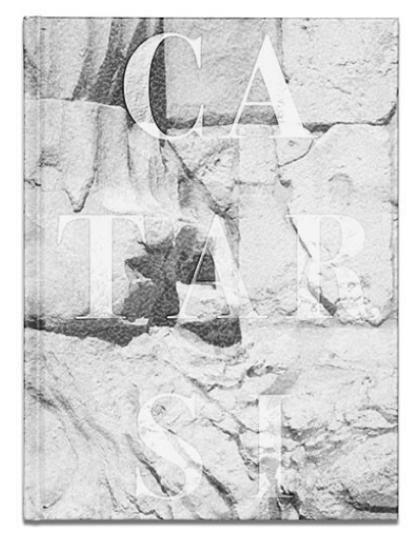 Catarsi is a journey home, perceived from the freedom of seeing it simultaneously from far away and up close. 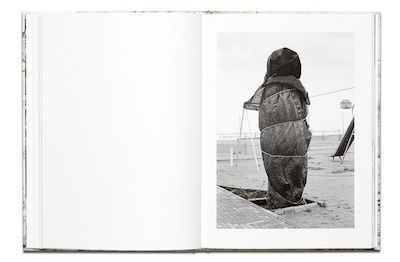 Regionalism has long been an important factor in the history of Italian photography, and the Adriatic coastline encompasses the innovative post-war movements La Misa both of which were founded by Guiseppe Cavalli and included Mario Giacomelli amongst their most celebrated practitioners. These photographers pursued a simple, quiet aesthetic, favouring formalistic experimentation gradually blending with Italian Neorealism and social documentary. Opposed to the overblown didactic imagery of the Fascist era, Cavalli subscribed to the principle that 'in art the subject has no importance at all.' Rather, each object in his frame was a medium for the element he really wanted to capture – light. In a part of Italy where old ways are passed on from generation to generation, this expressive legacy can be seen as a humanist backdrop toCatarsi’s compassion for the grain of a landscape - its textures, shapes and tones celebrated with the temperament of a contemporary classic. Leardini’s exquisite handling of effervescent lighting conditions reveal a poetic sensibility in which man and family become traces in a larger composition. As in the literature of Giacomo Leopardi, also born on the shores of the Adriatic, elements of nature create a window to ambiguously unanswered metaphysical questions. In the photographer's abstraction of a particular Italian landscape into a personal aesthetics, there is always a fine balance between transcendence and the profane. However, the optics at play, integrating personal and collective memory, seize nothing less than the luminous allegria of life.